On Sunday, April 19th, in celebration of being named a Steinway Artist, Matt Lemmler will perform two programs of music at Louisiana’s largest recording studio, Esplanade Studios (2540 Esplanade Avenue, New Orleans). The performances at 3:00pm and 5:00pm will be recorded, resulting in production of two albums that will be available to the public at a later date. 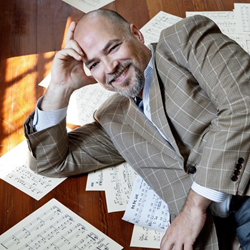 On Sunday, April 19th, in celebration of being named a Steinway Artist, Matt Lemmler will perform two programs of music honoring beloved Steinway Artists as well as offering his own versions of popular hymns. The event will be held at Louisiana’s largest recording studio, Esplanade Studios (2540 Esplanade Avenue, New Orleans), with performances at 3:00pm and 5:00pm. The programs will be recorded, resulting in the production of two albums that will be available to the public at a later date. Tickets for each performance of “Matt Lemmler Live at Esplanade Studios” range from $20 for general admission to $50 (includes signed CD’s from the performance). There is also an Executive Producer’s package for $500 that includes general admission, “executive producer” status on the CD, plus a complimentary in-home concert by Matt Lemmler on a Steinway & Sons piano provided by Hall Piano Company. Tickets are available at http://www.hallpiano.com/matt-at-esplanade. For decades Steinway & Sons has cultivated special relationships with pianists from every genre. From classical pianists like Lang Lang, to jazz stars like Diana Krall, to pop icons like Billy Joel, to "immortals" like Irving Berlin, Cole Porter, Sergei Rachmaninoff, and Arthur Rubinstein — more than 1,600 artists have made the Steinway their own. Since 1958 Hall Piano Company has served families across south Louisiana and Mississippi. As South Louisiana’s premier Steinway & Sons dealer, their services include piano rentals and sales, acoustic and digital piano sales, piano lessons and method books. For additional information about “Matt Lemmler Live at the Esplanade Studios”, contact Emily McWilliams at emilym(at)hallpiano(dot)com or call 504.733.TUNE.